When my parents told me they were going to Paris, I did two things. First, I pitched a small fit that they weren’t taking me along. And then I asked them to bring me back cheese. I held my breath that Customs wouldn’t confiscate the cheese upon my dad’s return to the States, but somehow, even though he got pulled for extra screening, the cheese arrived back to my parents’ house in Seattle unscathed. And when I went to visit two weeks later, I got to claim it! I brought it back to Minnesota and waited for the perfect moment to cut myself a wedge and savor its creamy tang. Oh. My. G-d. It was THAT good. 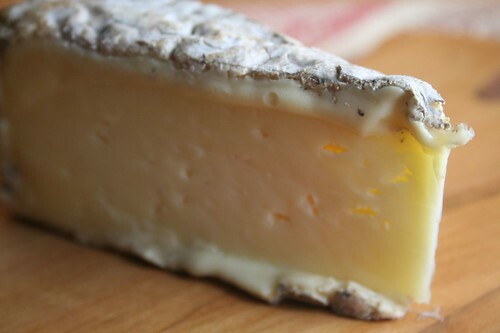 The cheese was Boursault, and it had to be made with raw milk because I’ve never tasted such a rich cheese before. 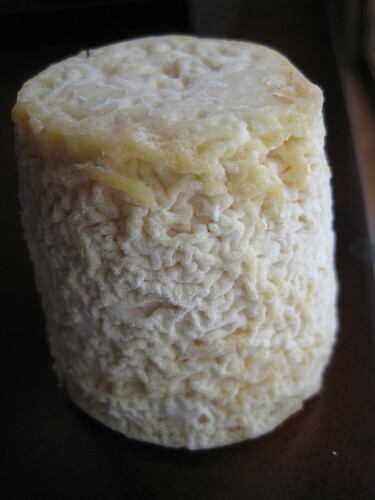 It had the consistency of a triple-cream cheese with the zestiness of a fresh chevre, even though it’s a cow’s-milk cheese (the picture of the goat on the label made me think it was goat’s milk), and is perfect for spreading on a water cracker. 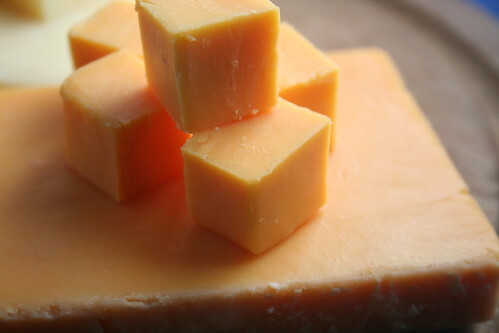 One taste of this cheese and pure bliss washes over you. You forget your work troubles, your dirty house, your extreme sleep deprivation. It’s the best thing to ever come from France, and that includes french fries. Today is Global Champagne Day, organized by wine blog Vintuba to “encourage people pause their hectic schedules, to take time to celebrate their lives, friends, and loved ones by enjoying the wonders of Champagne.” It’s also supported by the Champagne Bureau, which works to promote truth-in-labeling — so make sure you’re celebrating with a real Champagne from the Champagne region of France, okay? Good. Some of our favorite champagne-appropriate cheeses include Chaource (from the Champagne region, even), St. Marcellin, Comté, and Grès des Vosges. 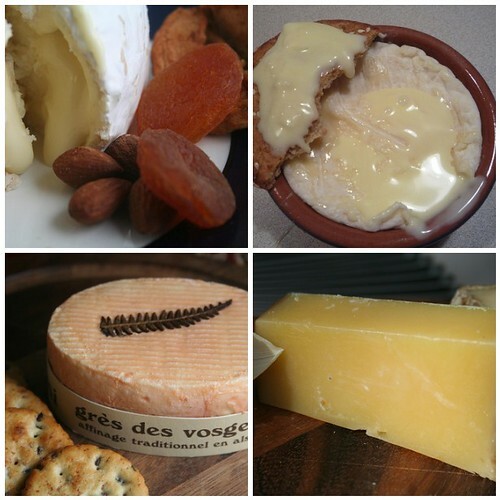 (Click here to see all our French cheese reviews to date.) Now we follow the “what grows together, goes together,” rule quite a bit — but don’t be afraid to branch out. Be a rebel and try some Sweet Grass Dairy Green Hill or Nettle Meadow Kunik with your champagne. 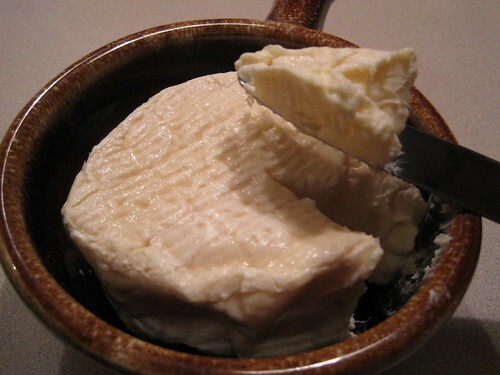 Any creamy, rich cheese will yield perfectly to the crisp bubbles of your champagne. 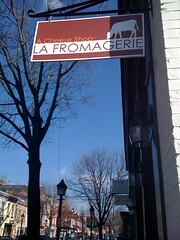 I also reached out to local cheesemonger Sebastien Tavel, of Alexandria’s La Fromagerie. 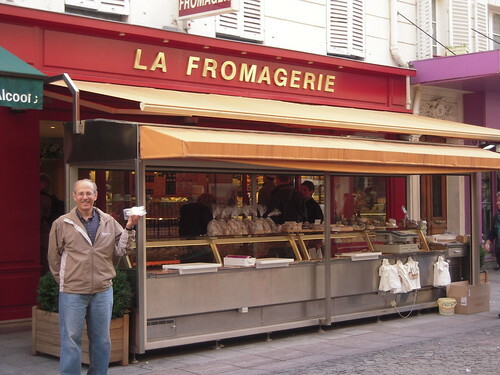 While he curates a wonderful selection of local and domestic cheeses at this Old Town cheese shop, he’s also a native Frenchman with a few thoughts on pairing cheese and champagne. When you’re springing for the real deal, you don’t want your cheese to overpower the bubbly. 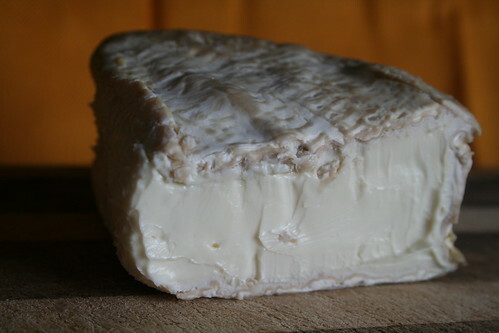 Tavel suggests a creamy Brillat-Savarin, “a wonderful triple creme that is mild and very delicate,” or the “nutty and complex” sheeps-milk Abbaye de Belloc with a rosé champagne. In Minneapolis, Jill reached out to Benjamin Roberts of France 44 Wine & Spirits. His choice with France’s best bubbly? Langres. What’s your favorite cheese with champagne? Cheese is often omitted from newspaper food sections, so it was a nice surprise to see an article about choosing summer cheeses in today’s Washington Post. Guest writer and cookbook author Domenica Marchetti highlights 13 cheeses with “seasonal charms suited for warm weather,” with input from Sebastien Tavel, the owner of La Fromagerie. 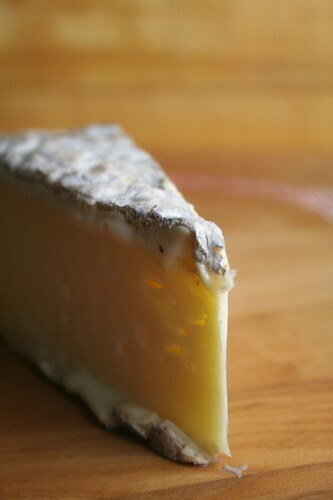 C+C readers will find a few familiar cheeses, such as Tomme Crayeuse and Idiazabal, along with some newcomers to this blog, like Dragon’s Breath. What do you think of Domenica’s picks? Did she miss anything? What are your can’t-miss summer cheeses?